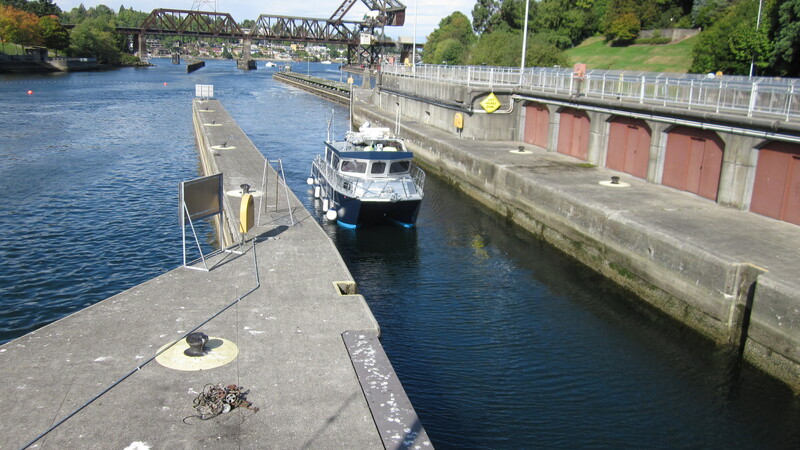 On what proved to be our last sunny day we finally had an outing to the Hiram Chittenden Locks right here in Ballard. 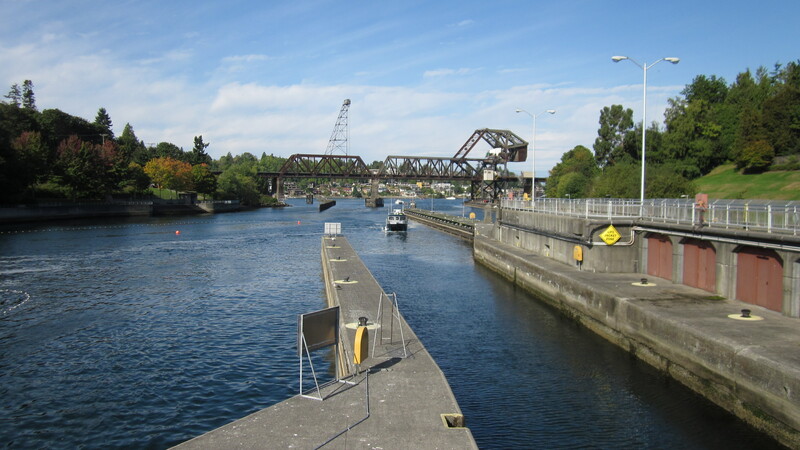 The Locks date from the early 1900’s and were a big engineering projecct to connect boats wanting to transit from Puget Sound to Lake Washington. Not as big a project as the Panama Canal, but the same idea I think. 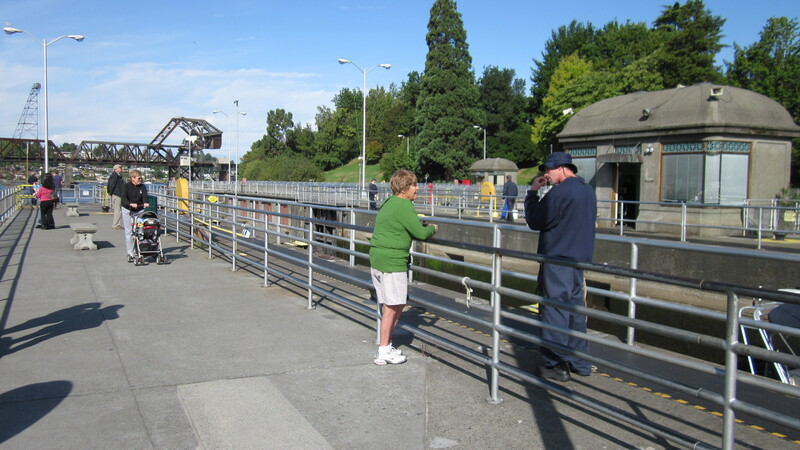 Also as part of the Locks project there is a Salmon Ladder and a viewing area. I don’t have pictures to show all the finer details, including the salmon in the fish ladder. It’s hard to show a seal suddenly popping up out of the water – and we did see 2 of them. And there were also some fishermen casting their nets from a small boat near the shore over on the Magnolia side. Native Americans still have exclusive fishing rights in these waters. Our outing was with 2 little fellows and their mom. I didn’t take many photos but here are a few. You can see what a beautiful morning it was. September 30th. Late in the morning the clouds gathered and we’ve had badly needed rain and intermittent overcast skies since then. Autumn has come. 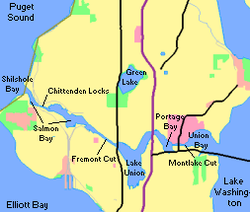 map from the internet showing the Lake Washington Ship Canal, of which the Locks form a key part.